I invite you to explore the website below to view the 2016 Overview. 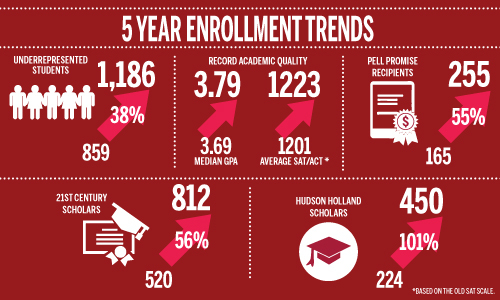 Join us in celebrating IU Bloomington’s continuous growth in academic quality and diversity in the incoming class, along with increased financial support for IU students and strong international presence. Additionally, we are pleased to share some of the innovative ways we are serving all students, including our record-setting 2020 bicentennial class.